Genetic variants linked to higher body mass index (BMI) are associated with lower risk of Parkinson disease, according to a study published by Nicholas Wood and colleagues from the University College London, UK, in PLOS Medicine. The researchers used a Mendelian randomization approach to examine whether genetic variants linked to higher BMI were also associated with risk of Parkinson disease. 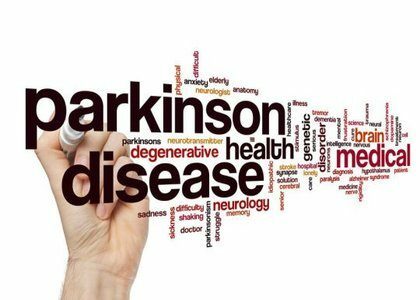 The associations between the genetic variants and BMI were obtained from the GIANT consortium and the relationship between the same genetic variants and Parkinson disease was ascertained from a recent meta-analysis that included 13,708 cases of Parkinson disease and 95,282 controls. The researchers observed that genetic risk expected to confer a lifetime exposure of 5-kg/m2 higher BMI was associated with an 18% lower risk of Parkinson disease (OR 0.82, 95% CI 0.69-0.98). A limitation of the approach is that individuals who have higher BMI have a higher risk of earlier mortality, and therefore individuals with lower BMI may be over-represented amongst individuals diagnosed with Parkinson disease. This “frailty effect” could at least partially account for the estimated association.